David Yurman 18K yellow gold and silver bracelet with garnets, black onyx, hematine and black diamonds. 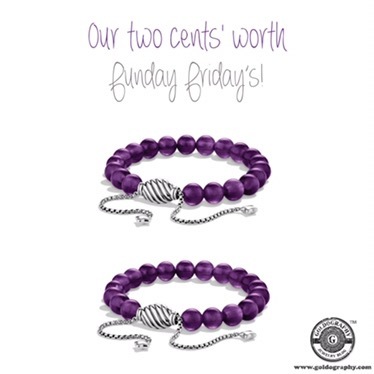 Our two cents’ worth funday Friday pick are these spiritual bead bracelets from David Yurman, made in sterling silver with smooth amethyst beads. 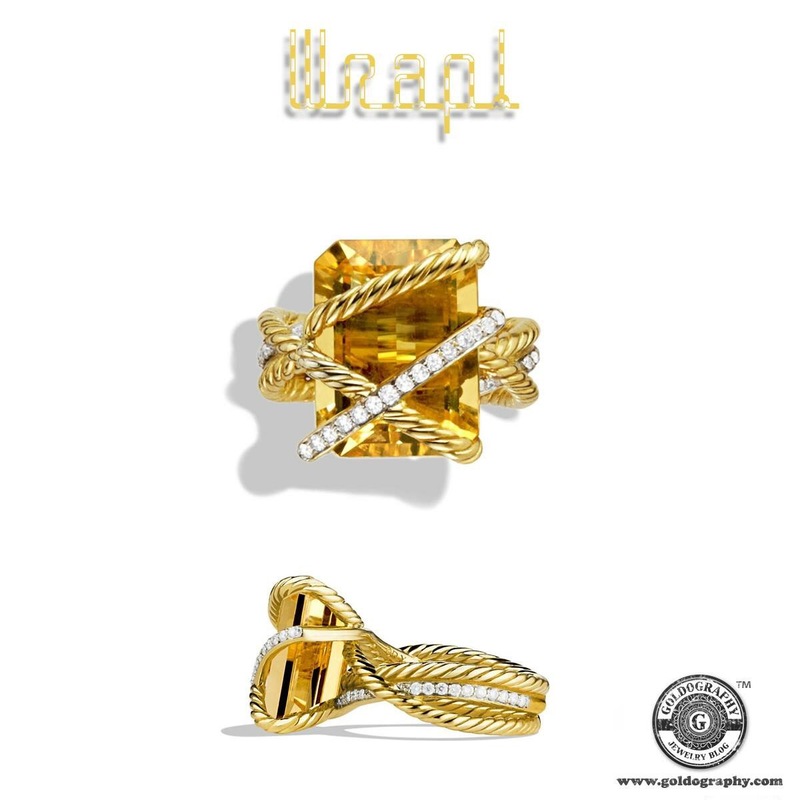 David Yurman 18K yellow gold wrap ring with an emerald-cut citrine and diamonds. 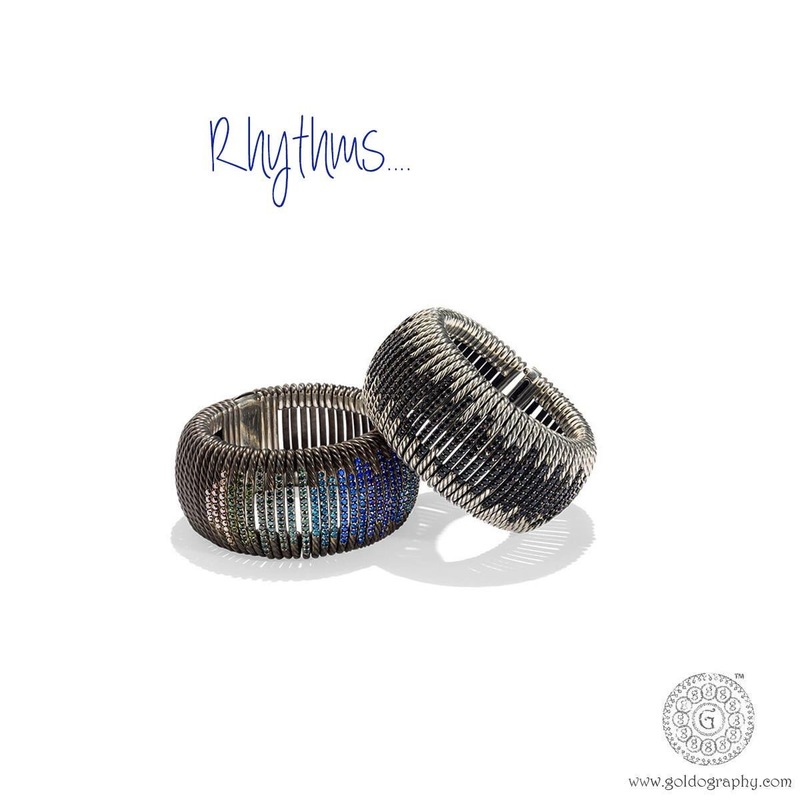 David Yurman’s Tempo collection were inspired by musical rhythms, darkened sterling silver bracelets with purple and blue sapphires and green tourmalines. Fun fact: Purple sapphires are an often misunderstood and underappreciated gem. They are actually quite extraordinary and far rarer than the more traditionally recognised blue sapphires. Unlike most blue and pink sapphires, which need to be heat treated in order to obtain their best color, purple sapphires very rarely require any heat treatment and are able to naturally change color in different lighting.